Although the 23rd Annual Local Authority Road Maintenance (ALARM) survey showed the estimated highways maintenance backlog falling by almost 23% to £9.31bn from £12.06bn, there was ‘little change in the overall structural road condition reported’ and overall, 20%, or one in five local roads now rated as poor. Marie-Claude Hemming, director of external affairs for the Civil Engineering Contractors Association, said: ‘Not only must we undertake urgent repairs to local roads, but the scale of the challenge is such that the Government must re-think how repairs and maintenance of this national asset are funded. Howard Robinson, chief executive of the Road Surface Treatments Association, said: ‘Due to years of under-investment, local authorities are playing a never-ending catch-up game. Andrew Hugill, director, policy & technical affairs at the Chartered Institution of Highways and Transportation, said: ‘Whilst there has been some welcome increase in funding available from DfT it is clear we need to look at wider solutions. 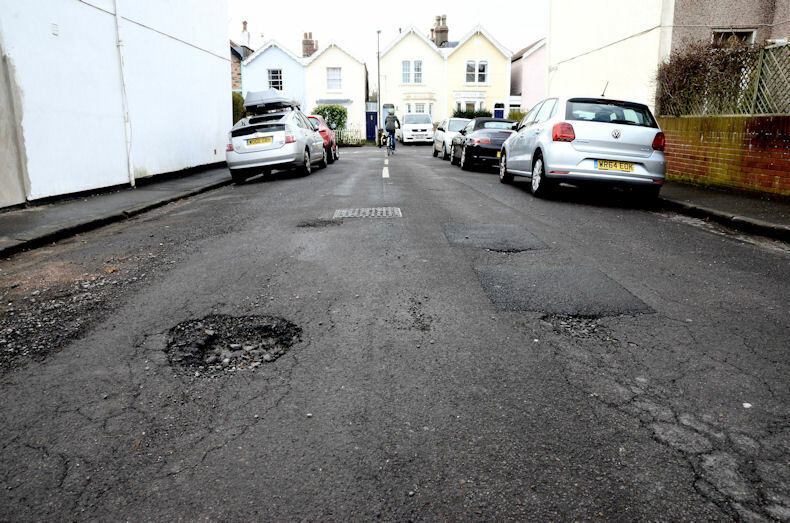 The RAC's head of roads policy, Nicholas Lyes, said: ‘This latest report clearly highlights that the shortfall between what councils need to fix the roads, and the cash they actually have at their disposal, is as enormous as ever. ‘It’s time for some fresh thinking when it comes to finally getting on top of Britain’s pothole problem. Short-term funding and creating pots by which local authorities can bid for cash doesn’t appear to be addressing the root cause of the problem. 'Instead, the Government should be looking at how it can guarantee councils the certainty of reliable long-term funding so that they can finally bring every road up to a standard road users think is acceptable. He added: ‘In just two years’ time, motorways and major roads will enjoy ring-fenced funding from Vehicle Excise Duty receipts. If just a fraction of existing fuel duty revenue was ring-fenced specifically for local roads, over just a few years enough could be raised to allow councils to make proper, lasting repairs that are fit for the 21st century.